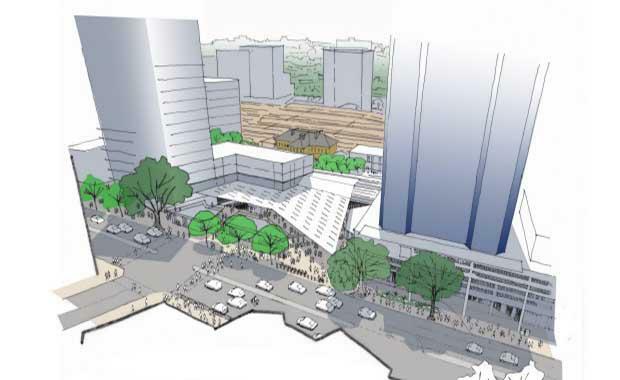 Brisbane’s Roma Street Transit Centre could be demolished if the Newman Governments' plans of replacing it with a building to accommodate new underground bus and tunnel routes goes ahead. If given the green light, the current building would be knocked down in 2016 and the project would be completed by 2021. This comes after a recent change to the proposed route of the BaT Tunnel, connecting Dutton Park to Spring Hill, which would see new underground stations located at Woolloongabba, George St and Roma St. The government has already set aside $1 billion from asset sales and leases, however it plans on splitting the rest of the cost with the private sector. Transport Minister Scott Emerson and Brisbane Lord Mayor Graham Quirk support the Newman Governments plans for the Transit Centre and Cr Quirk said it had frequently been voted one of Brisbane’s ugliest buildings.